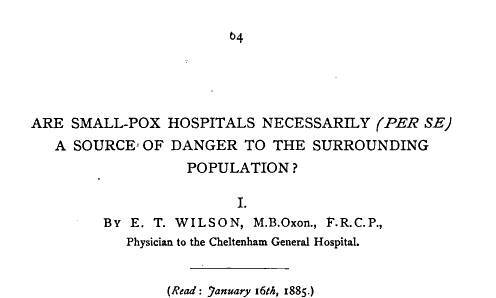 These are not necessarily historically important examples of disease mapping and medical geography, but they are important in terms of the history of disease mapping. This section has two types of pages. 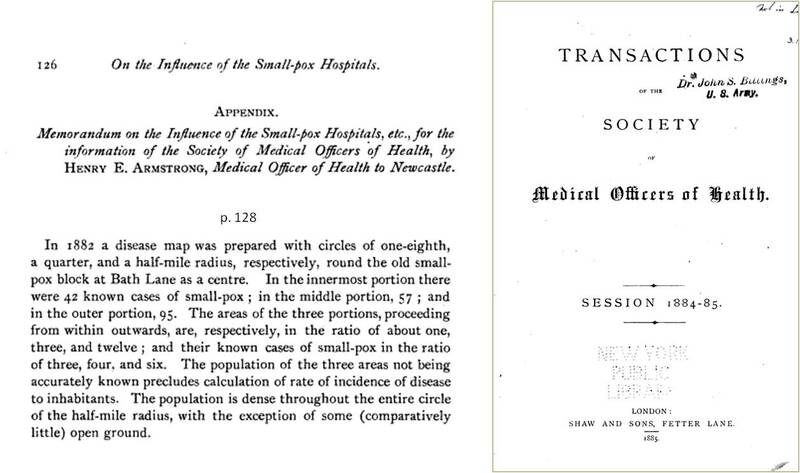 Some pages focus on maps and include them for those with a greater than normal interest in historical disease mapping. I include these for the sake of having these images. The way the normal and electronic book world has been going, I am concerned that it will be more and more difficult to actually see these maps years from now, due to their lack of being scanned, or loss due to theft or destruction of the book. Some of these maps may later be reviewed in detail on one of the earlier pages on this blog site, especially if they are historical importance. The second type of page focuses on books with partially or poorly scanned maps. 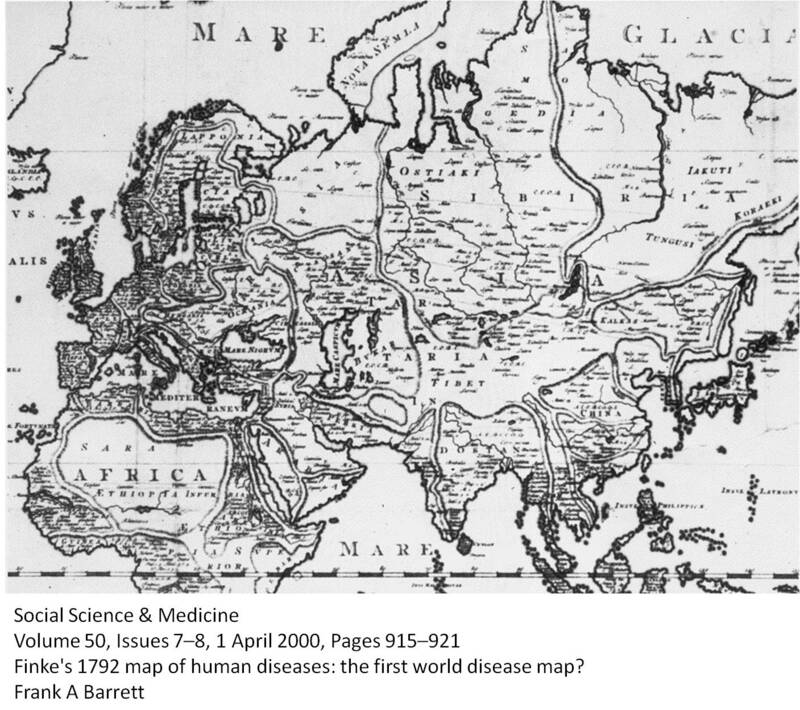 A number of observations I have made over the years searching for disease maps pertain to the current process of documenting the history of medical cartography as a part of the printing and publication experience. A number of limitations taken for granted by libraries using Google Books often prevent them from including large fold-outs and inserts such as disease maps. This is kind of like buying the Atlas just for its text, or reading a book on an art museum minus the framed figures. Maps are a rarity in the antique books world due to the tendency for people with little to no respect for the book itself decide to pull, cut or tear from the spine some of the most important parts of that book. In the past, during my years as an antique medical book scout and buyer back while in medical school, and as a medical chemistry researcher and teacher, I often brought up this concern with people who had those booths at the book fairs filled with the best pages of whatever copies of 16th and 17th C anatomy, 18th C botany of 19th century architecture they decided it was time to deface. I once almost sold my two volume watercolors set of Good’s American flora ca. 1850, until I learned the person who wished to buy it sold just framed watercolors and prints in order to earn those extra dollars for her artistic products. Unlike some of the better planned electronic documentation of past writings, like Archives and private library sponsored historical documents problems, Google Books has one major flaw, at least when the books are scanned in the United States setting. This is not so much the case for the even more valuable and often irreplaceable rare books scanned and made accessible to polylingual readers like myself. I find the Latin, French, Swedish, Old German and Finnish writings on botany, geography and medicine to be more valuable than many English documents. These scanner take the time needed to make the best product from their work. More than likely it is the problems due to the size, shape and folds of these larger inserts and folded figures that makes scanning this part of the document seem like ‘a waste of time’ to whomever is doing this work. For medical researchers like myself, this is a very poor excuse for producing an incomplete and at times frustrating end product for readers of digital books. Seeing such a figure, or its inference by viewing the back side of a folded up page, is kind of like being just one too many steps away from where you would like to be a minute or two from now. It’s like a surgeon trying to look for the answer for some important question about his method of treatment–you know the figure is there, but the elousive answer to your highly important quation is on that half of the figure, text or graph not scanned because the page was too big. Murphy’s law often intervenes with these historical books and unfortunately many of those half-scanned made using the the Google Books scanner provided to these 5 or 6 major US educational institutions. This is most unfortunate for many researchers like myself, and in particular the of medical researchers. Maps are unfortunately the rarest of the rare when it comes to having an illustration or figure to refer to in your work. A single map can be ten times more valueable than any figure of something more common such as a plant or special form of architecture. In spite of this frustration, I find it necessary to note the following medical maps, not scanned or poorly scanned. Based on my own experience, it is often difficult to know about these maps unbless you accidentally find them. On many occasions, while reading the Index-Catalogue at my leisure from about 1990 to 2000, I noteiced the occasional note about maps that sometimes appears in these bibliographies (for example “(incl. map”). For this reason I took the time to document the resources with maps, and if the document was available I scanned that map as a matter of habit. Those that I did not fully cover elsewhere on my site are included on this page. These pages include fully and partially scanned materials of importance to historical medical cartography research, for the sake of the researchers. A list of important medical references with maps that should have been scanned as part of the fully scanned document will be prepared.